What is Rural Health Innovation Weekend? The OSU Center for Health Systems Innovation is proud to host a weekend event that will connect health care administrators, providers, industry leaders, and entrepreneurs with students from medical, technical, analytic, business, and engineering professions. Teams form to brainstorm and develop solutions to the complex challenges faced by small town and rural health care providers and citizens. The purpose of this event is to gather people from different backgrounds to work together on developing new services or products that will benefit rural healthcare. We are excited to announce that the 2017 Rural Health Innovation Weekend will be held on October 6th-8th (Postponed until further notice) in Tulsa Oklahoma at the Tandy Education Center located at 1111 West 17th Street, Tulsa, OK, 74105. 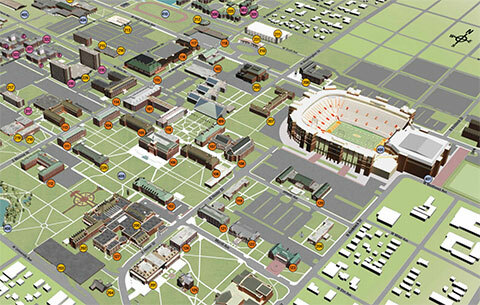 See the map for the Tandy Education Center. October 6th - October 8th. On Friday the 6th, the event kicks off at 6:00pm. See Agenda for specifics. You will be able to enjoy the Tulsa State Fair this same weekend located at the Tulsa State Fair Grounds. The 2017 RHIW weekend will kick off with a presentation by Chad Landgraf of the OSU Center for Rural Health who will discuss the top challenges faced by rural health care providers and our fellow small town and rural Oklahomans. He will be followed by Marie Moran, a Stanford University trained design thinking consultant with clients including Boeing, Google, 3M, and healthcare entities. Read more about them here. The cost for the entire weekend is $50.00. The fee is waived for all student participants who attend the event. The fee includes food provided through out the weekend and fun swag for the participants. Design Process for Healthcare Innovations, Marie Moran, M.S. RHIW thanks the Center for Executive and Professional Development (CEPD) for managing our registration! If you have not attended a CEPD event before, you will be asked to set up an account as part of enrollment. For assistance with registration call CEPD at 405-744-5208. For this event, we have a block of rooms at the Holiday Inn Tulsa City Center located at 17 W. 7th Street, Tulsa, OK 74119. The rate is guaranteed if you book by September 6th, 2017. Please call the hotel at 918-585-5898 and reference our group: OSU Rural Health Innovation Weekend or go to their website and book online! Both single and double rooms are available at a negotiated rate of $89/ per night. There is also a shuttle service that will pick you up and drop you off at the airport, as well as provide free transportation anywhere within five miles of the hotel-which includes the location of our event and even travel to the Tulsa State Fair. Interested in sponsoring the event? Sponsorship opportunities are available. Please contact us! Each team will present their solution on Sunday. Judges will select first, second and third place winners. First place will be awarded $3,000. Second place will be awarded $2,000. Third place will be awarded $1,000. RHIW participants also vote on a People’s Choice award of $500. Why focus on Rural Healthcare? 40% of the Oklahoma population is in a rural area. Most rural areas are identified as Primary Care Shortage Areas. This is a growing problem for rural America. Rural populations are both aging and growing, therefore, demand for primary care is increasing faster in rural areas. The large number of aging and retiring physicians and nurses in rural Oklahoma compounds the shortage problem. Rural OK Primary Care providers work with higher risk populations: more chronic, more unhealthy behaviors, and fewer personal and community resources. Adding more providers is not the lone solution. Why attend Rural Healthcare Innovation Weekend? See ‘General Information’ – ‘Location‘. See ‘General Information’ – ‘Cost‘. See ‘General Information’ – ‘Registration‘. What kind of idea can I pitch? Any solution including business, prototype, clinical model or community strategy to name a few are eligible. These solutions can be for-profit, ‘social’ businesses, non-profit organizations, and innovations for testing. They key is that you can explain how the solution will benefit rural health. All registered participants will receive an email with material to look over ahead of time that will provide them more detail of what to expect of them during the innovation weekend. Materials will include: map of location, templates for pitches and presentations, biographies of speakers and judging criteria. You can do research and preparation around your idea and prepare to give a persuasive pitch and attract a team. Don’t worry about too many details. Pitching an idea should take about 60 seconds. Boil the idea down to the basics. We encourage you to come listen to the speakers Friday night and if inspired by overview of rural challenges and brainstorming solutions, feel free to pitch an idea at the spur of the moment! Can I attend without presenting? Well… we’d love everyone on the team to be part of the team presentation at least on Sunday. Everyone who attends the event is expected to participate on a team. With that said, teams may choose to present by skit, video, PowerPoint, etc. Presentations are up to the teams themselves. Do I have to pitch an idea on Friday night? Can I come with a team already formed? Yes. However, the point of the innovation weekend is to work with people you have never met before who can offer a different perspective to the project. You may have members in mind to work on the project but be prepared for the organizer to put some additional members to the team if there is not enough variance among backgrounds and expertise. Creative energy to think outside of the box! Am I expected to work nonstop for the entire weekend? No. Certain teams will decide to work all through Friday and/or Saturday night, but this is by no means obligatory or expected. We will give you venue hours upon your arrival and the team can then decide how long they want to work. A key part of the Rural Health Innovation Weekend is the valuable advice and assistance provided by the event’s speakers and mentors. Talks will focus on practical issues that can actually help you and your team better achieve your weekend goals. Volunteer mentors will be available Saturday to give you feedback on your idea or to help you answer your questions. Mentors vary and may include: Medical, entrepreneurship, software development, marketing, finance, law, and more. What is supposed to be accomplished/presented on Sunday?